The 9 nights festival of Navratri begins on the first day of Ashwina of the bright fortnight. 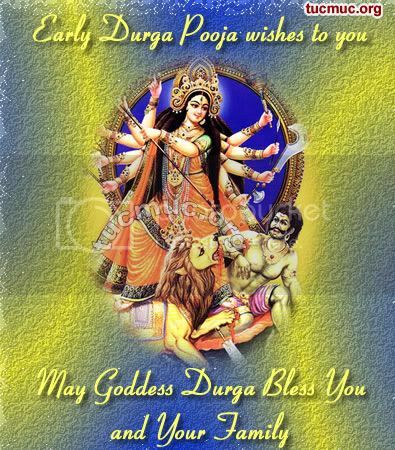 Seeds are sown, sprouting is watched, the planets are consecrated, and on the 8th and 9th days, Goddess Durga, Vijayashtami and Mahanavami are worshiped. May the bright spirit of Navratri fill your home and heart with loads of joy and happiness.Happy Navratri! Let's pray to Maa Shakti and perform dandiya in her reverence.